It might be a cliché, but Paw Paw Lake was certainly "the right place, at the right time". Its eleven miles of shoreline, nearness to Benton Harbor and St. Joseph, and accessibility to railroads made it the perfect place to become a resort destination. 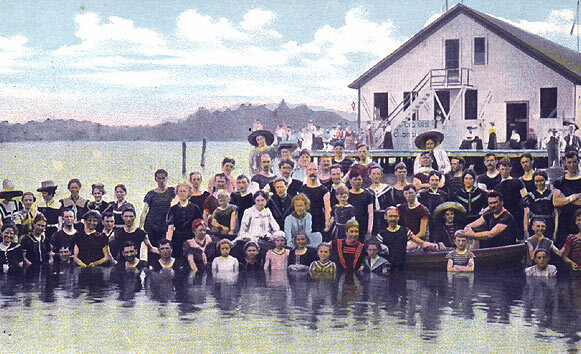 The call was heard and Paw Paw Lake soon became THE resort destination. 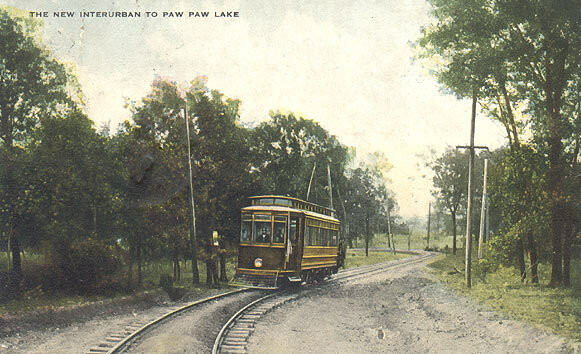 A railroad was built from Coloma to Paw Paw Lake in 1896. Pleasant View Dance Pavilion was built in 1897, followed in 1899 by Woodward's Pavilion. 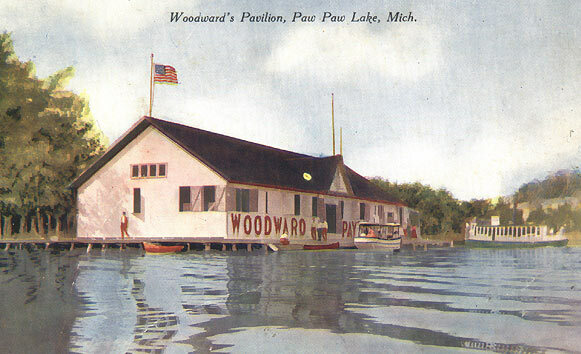 Woodward's was built over the lake and had a huge dance floor, game room, ice cream parlor and a promenade. With the throngs of tourists also came a tremendous need for accommodations. The race was on. Farmhouses became hotels and orchards were changed into building lots for cottages. 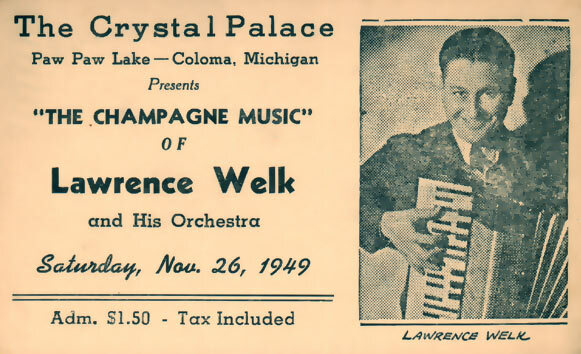 Within a ten-year period, fifty hotels and four dance pavilions lined the lake. These postcards feature both a glimpse into the region's accommodation history and also a little peek into the region's postal history as well. This Postal History includes a "'PawPaw' Lake" postmark dated August 31, 1907 and a "Lake Point" postmark dated July 17, 1911. 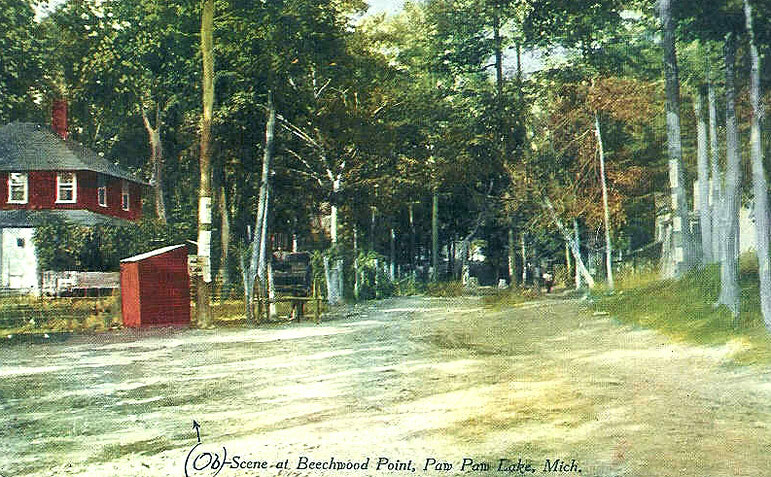 The 'PawPaw' Lake Post Office was a "Summer Only" post office established on August 14, 1901, with William A. Baker as its first postmaster. It is interesting to note that the post office spelled 'PawPaw' as one word, not two. The post office was discontinued on September 30, 1907. It was reestablished as the Lake Point Post Office, also a "Summer Only" post office, on July 26, 1909; with Alice M. Baker as its first postmaster. The post office was again discontinued, this time on May 31, 1919. 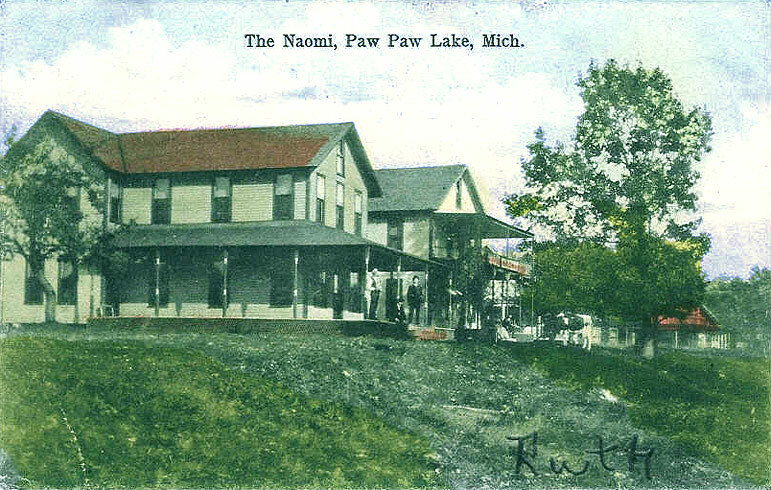 Today, when one is sending a note to the good people living around Paw Paw Lake, the note is sent to one of the towns that border the lake: Coloma - post office established on August 23, 1856 with Henry M. Marvin as its first postmaster (zip code 49038) or Watervliet - post office established on March 21, 1848 with Isaac N. Swain as its first postmaster (zip code 49098). 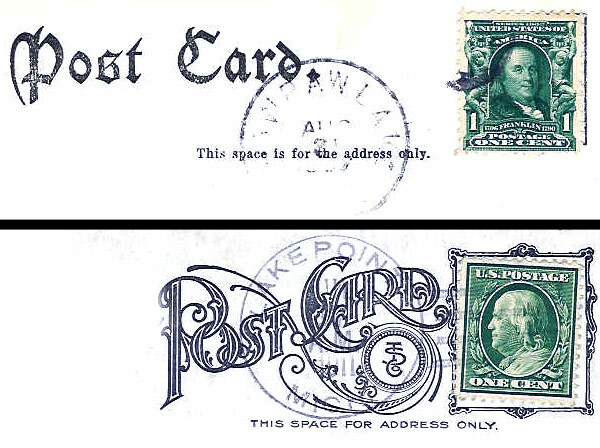 (*) Photo courtesy of Paul E. Petosky, Postmarks from the Past. Boats large and small soon began providing transportation around the lake. 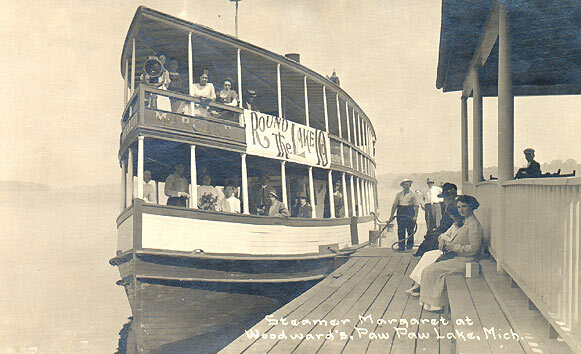 One boat, the Margaret, was said to have held up to 250 people. Train records show forty thousand people coming to the lake each summer. The Ellinee was one of the major attractions for summer visitors. This complex of buildings was the Disneyland of its era. The last big dance pavilion, Crystal Palace Ballroom, built in 1925, was able to handle more than 2500 dancers. Its popularity continued through the 1950's due to the performances held there by the big dance bands, such as Bob Crosby, Lawrence Welk, Jimmy Dorsey and the Benny Goodman orchestra. 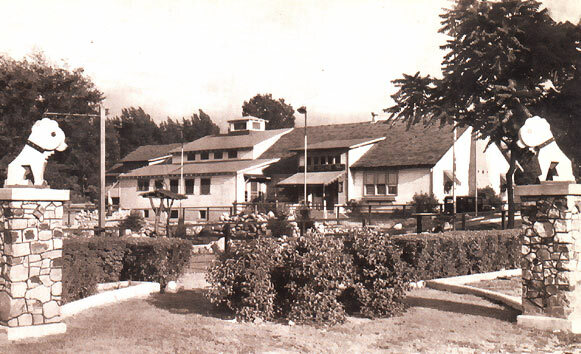 In the 1950's, changing lifestyles saw the demise of the old hotels and pavilions but enjoyable summertime activities were still available in the Paw Paw Lake area. 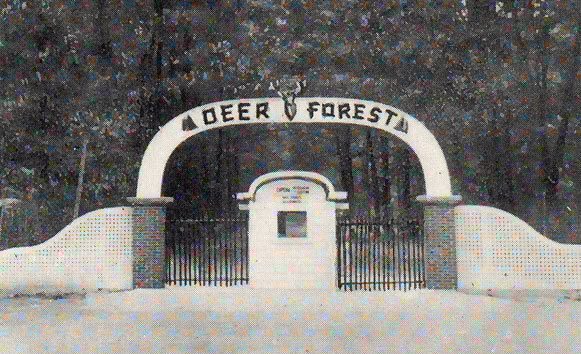 A new attraction, Deer Forest, an animal park, opened in 1949 and by the late 1960's, two and a half million people had gone through its gates. In 1996 Paw Paw Lake became a newspaper headline once again. The magazine, Smart Money, a Wall Street Journal publication, rated the Paw Paw Lake area as one of the best places in the United States to buy a vacation home. Today, handsome homes and condominiums accommodate year around residents and vacationers alike.